We are committed to helping you reach your health and wellness goals. We will work together to help you stay free from injury and perform to your highest potential. From improving your climbing skills to returning to competition from an injury, we have a program for you! Amy’s enthusiasm for life is contagious. She loves her work and it shines through all of her client’s successes. She specializes in mid to long distance runners and climbers. Her practice includes athletes of all levels. Each day she works with runners training for their first 5K, climbers bouldering their first V3, and elites with full sponsorships. Amy spent almost 15 yrs working in sports medicine as a PTA, before starting ATHENA. She then spent 4 years traveling and working with some of the world’s fastest athletes. She has worked with Olympians & Olympic hopefuls since she started Athena in 2010. Amy is a licensed Massage Therapist (OR#19726) specializing in deep tissue work & sports massage. She is also a Certified Strength and Conditioning Coach through NCSA. 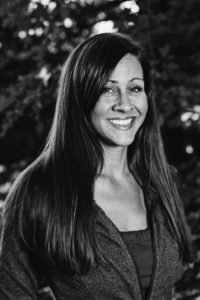 She graduated from Portland State in 2003 after double majoring in Fitness and Health as well as Public Healthcare Administration. Her practice is located 1 block from one of the busiest climbing gyms in Portland, OR. She has been a climber for almost 20 years. She received her Physical Therapists’ Assistant (PTA) degree in 1997 and graduated with Honors. She maintains her PTA licensure, but only provides injury prevention services. Lauren is a Registered Dietitian focused on performance nutrition, and a competitive runner herself having run under three hours in the marathon. She received her BS in Human Nutrition from UMass Amherst, completed her dietetic internship at Tulane University in New Orleans, and is wrapping up a Masters of Public Health. Lauren is passionate about helping people cut through the myths and misinformation about nutrition to make food a delicious, performance enhancing part of their lives. She believes that there is no one “right” way to eat, and is eager to discover ways to optimize nutrition for each individual client. Mitch is an enthusiastic and warm soul with a background in athletics that lead him into the world of health and fitness early on. His focus is functional training and workouts are a customized combination of body weight exercises, resistance training, balance, and mobility movements. Overall joint health and hip-specific mobility are keystones in Mitch's approach and are essential components to a healthy, strong body. He is one of Portland's top trainers and he'll help you reach your fitness goals!